We are engaged in providing a high quality range of Walk Through Frames to the esteemed customers. Ladder or Mason Frames are also provided by us to the clients. 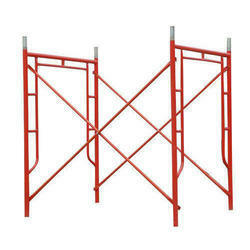 We offer Scaffolding H Frame to our clients. Cantilver frames are used for supporting decking or formwork at the edge of the slabs. The frames have blade ends for locating the cup joints and can accept jacks. Such frames can have projection up to 1.5 M.
The N H Frame System provided by us can be installed conveniently because of its lightweight and portable design. This system is highly acclaimed for its exceptional resistance to corrosion and abrasion. - Weight: 22 kg approx. We offer a premium quality assortment of H Frame Scaffolding System which is made from premium quality material and latest techniques. Largely used in different industries, these are engineered with utmost precision. 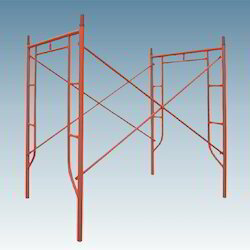 Our company has gained name and fame in presenting H Frame Scaffolding.